Objectifs is located at 155 Middle Road, on the corner of Waterloo Street and Middle Road, facing Fortune Centre. 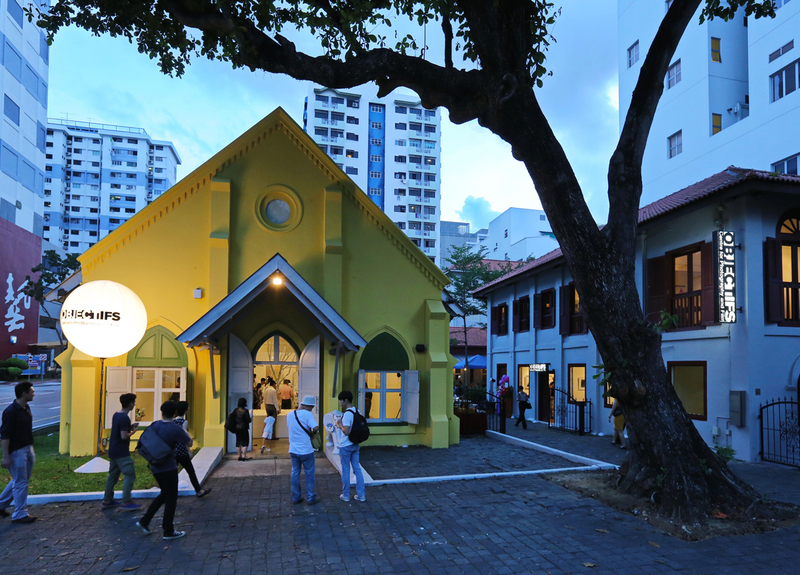 Objectifs comprises two buildings: the Chapel Gallery (a bright yellow building) where we hold exhibitions and screenings, and an adjacent two-storey grey and red building where our Lower Gallery, shop, workshop lab and offices are located. Also sharing our premises is a restaurant, Artichoke Singapore. Recommended parking at NAFA, 80 Bencoolen Street (enter by Bencoolen St) or Sunshine Plaza, 10 Prinsep Link (enter by Bencoolen St, turn into Prinsep Link). Limited parking on Waterloo St and Queen St.